Would You Like To Go On an Amphibious Sightseeing Tour? Trademarks are meant to identify the source of products and services. Do you get confused between Coca Cola and Pepsi Cola? Between Payless Shoes and Comfort Shoes? Between Domino’s Pizza and Papa John’s Pizza? Probably not. “Cola,” “shoes” and “pizza” are what trademark law classifies as “generic” terms – they describe the product, not its source or origin. If someone started selling a drink called “Rockstar Cola,” Coke and Pepsi would have no legal grounds for objection. The “cola” part of their trademarks are generic, and in a trademark infringement suit a court’s focus would be on the first word in the trademark, “Rockstar.” On the other hand, if someone started selling Koka Cola or Popsi Cola, the lawyers for Coke or Pepsi would be working overtime to prepare their lawsuit. What do you call a sightseeing tour that uses an amphibious vehicle to transport tourists on land and water? What other names, if any, do you use to refer to this type of sightseeing tour? Did you answer “duck tour” to the first question and “don’t know” to the second? If you did you went right to the heart of the First Circuit Court of Appeals’ decision in Boston Duck Tours v. Super Duck Tours. And, you did very quickly what it took two federal courts almost a year and 85 pages of turgid legal prose to do. The issue in this case (linked at the bottom of this post) was straightforward: Did Super Duck Tours infringe the trademark of Boston Duck Tours by offering duck tours in Boston? U.S. District Judge Nathan Gorton concluded that it did, and issued a preliminary injunction in July 2007, ordering Super Duck Tours to stop using this name. Last month the First Circuit reversed, holding that the term “duck tours” is generic (it describes the service, not the source of the service). 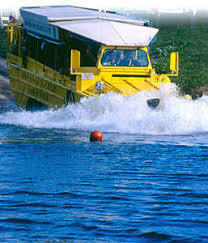 A “duck tour,” the First Circuit concluded, is generic for amphibious, sightseeing tours. Consumers were unlik ely to focus on the generic “duck tour” part of the overall mark (any more than they would focus on “cola” in comparing Coca Cola and Pepsi Cola), and instead use “Boston” and “Super” to differentiate between the two marks at i ssue. 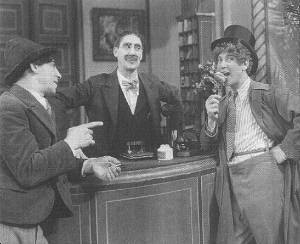 In reaching this conclusion the First Circuit noted that the media often used “duck tours” to refer to amphibious sightseeing tours; that “duck tours” was used by many other companies around the country that provide the same or similar services; and that Boston Duck had used the term “duck tours” generically in its own marketing literature. The decision is linked below at scribd.com. Using scribd.com you can view the document in the window below, increase the font size in the window, view ful-screen, download, share, embed in a web page, and all kinds of other cool things. So, anyone up for an amphibious sightseeing tour?